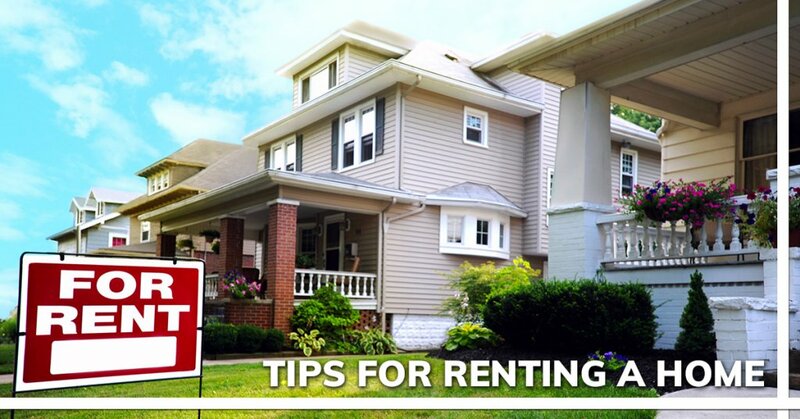 In today’s article, we’ll take a look at some tips on renting a home in Indianapolis that you should consider when renting your next home in Indianapolis. As property values plummeted over the latter part of the 2000’s, many people began to turn to renting. There are plenty of reasons to rent as opposed to purchasing a home, including maintenance costs, desire to live in a densely populated part of Indianapolis In, or the desire to live in a smaller space. Oftentimes, a management company will quickly make repairs, and be responsive to tenant complaints. Forward-thinking companies may offer rent payment, maintenance and repairs requests, and answers to other questions on their website. Property management companies in Indianapolis are usually strict about who they’re willing to rent to. They’re more likely to run credit checks, and require certain scores to consider a tenant. Many property management companies are also reluctant or outright refuse to rent to tenants with pets. Private owners often may rent a house at a little bit lower price than a property management company because they don’t want to hassle with finding tenants or they simply may not know the local Indianapolis In rental housing prices well. In the end, both private property owners and local property management companies have to follow the same landlord-tenant laws in In so the experience with either one should be fundamentally the same. After renting your next home in Indianapolis, before assuming the lease, it’s extremely important to take photographs of every inch of the house or apartment. This can be essential to recovering your security deposit at the end of your lease. Some uncouth landlords will use your security deposit to pay for broken items or scuffed floors that existed before you moved in. If you’re looking for renters insurance in Indianapolis In just pick up your phone book and call any reputable insurance agent (the same type of insurance agents who could sell you auto insurance tend to offer renters insurance too) or head online and do a quick Google search for “Indianapolis In insurance agents” and you’ll find a whole list of agents to choose from. By being very details oriented during your search and moving into your new apartment or rental house, you can ensure a pleasant experience for both you and your landlord! For other tips on renting a Indianapolis In home feel free to email us directly or give us a call and we can provide more information and free guides to help you find a great local house to rent… even a Indianapolis rent to own house list in case your main goal really to purchase a house rather than rent… but your current financial state won’t let you get a home loan (we can help!). The tips on renting a house in Indianapolis above are quick and simple and apply to a rent to own house as well. But if your goal is really to own your own house here locally in Indianapolis… but your financial situation won’t let you qualify for a loan (bankruptcy recently, foreclosure recently, your income not high enough yet, etc.) then renting to own a home may be an option for you. If that’s you… then start on this website by learning about the rent to own process and even get on our Local Rent To Own / Lease Option House list to see the available rent to own homes in Indianapolis. If you have any questions at all don’t hesitate to contact us anytime. We’re here to help! We can connect you with reputable property management companies, provide you free resources as a tenant here in In that show you your rights, and more! Or, if you do want to learn more about renting to own a local house… excellent! We’ll walk you through the process and see if it’s a good fit for you! Sign Up For Our Local Indianapolis Rent To Own Homes List Below!